Posted on April 17, 2015 by Courtney Duerig / This entry was posted in Container Gardens, Garden Center Advice, Pottery, Pottery Trends and tagged container displays, garden center, garden design, nursery, planters, pots, retail, retail store. Bookmark the permalink. Customers seem to always be drawn to groups of color and matching items. A bright color grouping will alert your customers and make them stop to take a look. 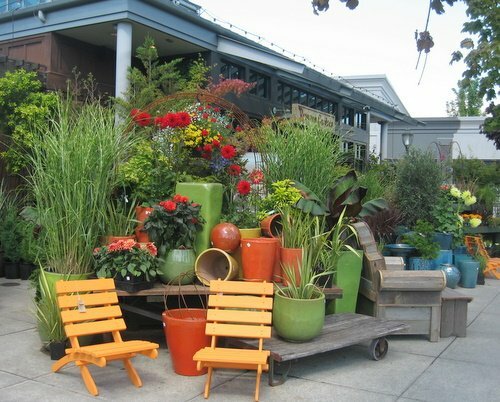 Take time to learn the psychology behind color in retail, think of how you want your customers to feel as they walk by different displays in your garden center. Make sure to include matching saucers and pot feet nearby so the customer can visualize how it will work in their home. Allow the customers to view the mix of pottery colors and glazes next to plants to see how the colors interact. Make sure to just place plastic containers within the planter so the plants are easy to take out when someone wants to purchase it. 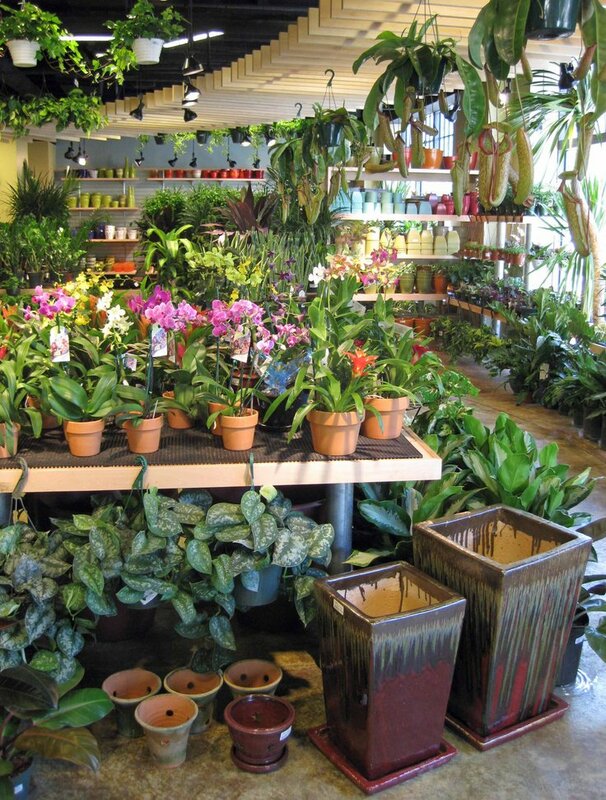 Don’t put plants in all the containers or customers will be less likely to buy them. You want them to be able to pick items off a display and bring them to the counter easily. 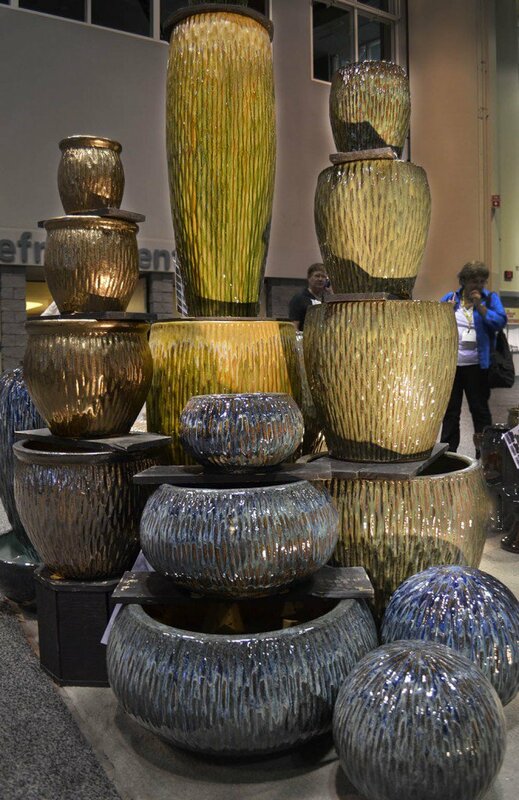 A few years ago, we started stacking our pottery at trade shows. It drew in so much traffic to our booth, that all our competitors were doing it the next year. To pull this off you need a large supply so that if a customer wants to buy the pot at the bottom, you have one readily available. Any garden center display that has height is sure to draw attention. Pottery can be a great filler for empty spaces around your plants and other products. Try adding a small grouping of planters next to plants or flowers that match. 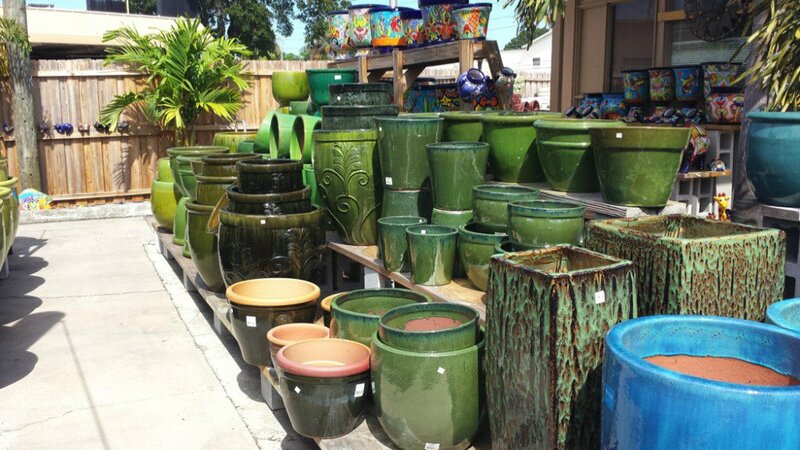 Don’t worry about having too much pottery supply in slower months, containers can make your garden center displays look full in the off season when plants are more scarce. 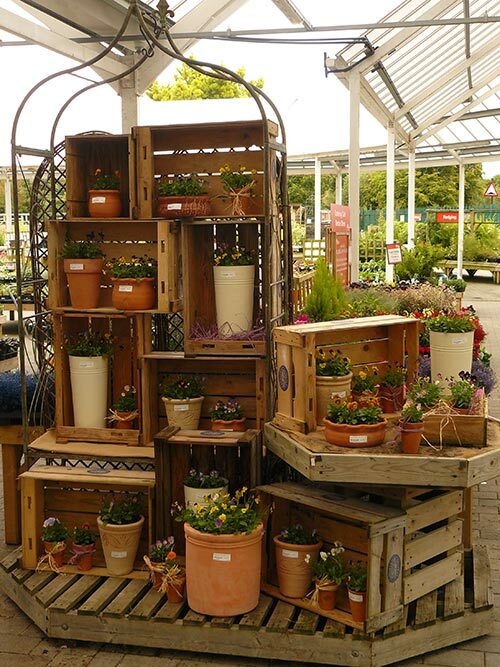 There can be so much creativity in garden center displays if you take the time to do a little DIY. Try using things in unexpected ways and turn your trash into treasures. Try building a display out of pallets or painted cinder blocks. Broken pieces of pottery you have lying around could become beautiful accent pieces. Don’t be afraid to mix in some decor items that are not for sale. Get creative, there is so much design inspiration on Pinterest, you’re sure to think of something awesome.